The park offers an excellent opportunity to get out and about with your dog where there are various walks to suit every ability. 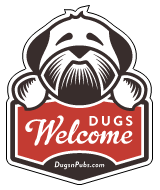 Although dogs are not permitted in the onsite visitor centre or cafe, there is a nice dog friendly pub, the Brown Bull, just 10 minutes walk away in Lochwinnoch village centre where you can order food and drinks and get a water bowl for your furry friend. Nice river walk. Cafe has seating outside and dogs welcome. Country Park & Castle in Loch Lomond. Woodlands, meadows and grassland around Loch Ore. There are a total of 22 dog friendly listings in the Country Parks category. Please log in, or sign up as a member to view all listings.